Read our insightful Alice in Wonderland blog articles, filled with fun facts and unique secrets about our very own books. If you’re looking for the books we have in stock, you can explore our full Alice in Wonderland First Edition collection. Charles Dodgson, or rather Lewis Carroll, is primarily known as the author of the children’s classics, Alice in Wonderland and Through the Looking Glass. Yet any collection of his works would be incomplete without recognising his expertise in the field of mathematics. In fact many of his fictional works combine his skills of creating fanciful stories and challenging logical and mathematical problems. Charles L. Dodgson (1832-98) was the mathematical lecturer at Christ Church College at Oxford University, UK for twenty-five years. 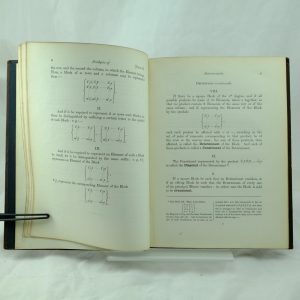 Teaching and simplifying geometry and mathematical concepts was an issue that greatly interested Dodgson and he was keen to develop an accessible approach to the subject. His later mathematical publications had a lighter feel. From his tutoring and coaching came the first of many published mathematical pamphlets. His style was to prepare stories, puzzles and other literary styles to explain mathematical concepts in a popular way. For example, although the play Euclid and his Modern Rivals (1879) was written as fiction, it is a defense of Euclid’s Elements as the best textbook for geometry scholars, an issue of contention at the time. In his introduction to the book, his skill at intertwining a playful approach to mathematics appeals to the non-scientific audience. It was around this time Dodgson invented his pen name as he thought he should distinguish his two types of writing, mathematical and fiction, yet he continued to intertwine these two themes in his future books. 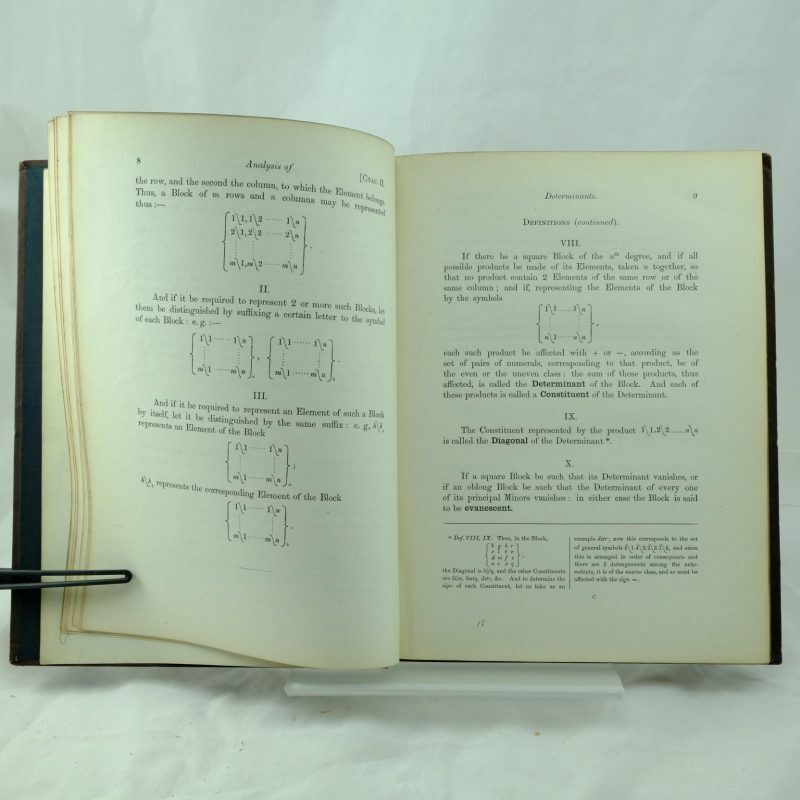 Dodgson’s love of making puzzles accessible to others is indicated with his publication of Doublets. A new puzzle was introduced into the magazine Vanity Fair in 1879 and Dodgson published a guide to the game with a glossary of suitable words to be used for future puzzles. This word game is now recognised as a popular brain teaser today. 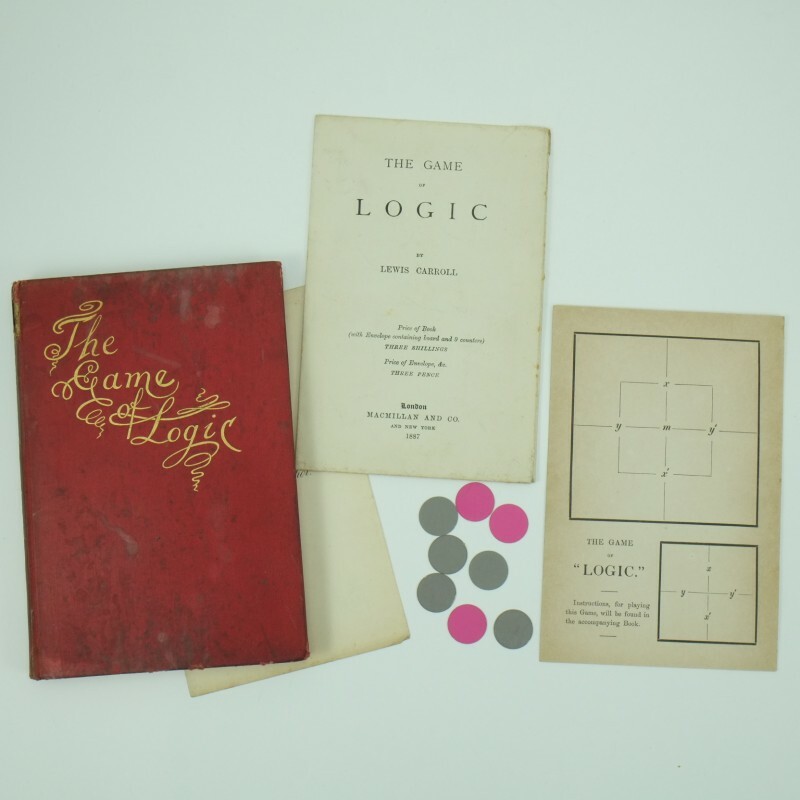 In The Game of Logic Dodgson offers creative mental play to teach the fundamentals of logic and spatial representation of logical statements. He uses colourful ways of demonstrating the serious mathematical statements by using counters on a board in certain ways to denote cakes with certain characteristics (tasty, non-tasty, fresh, not-fresh). 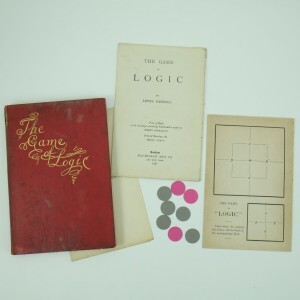 Dodgson employed his typical light-hearted approach to explanations using humour and absurdities to make a point as in, the “game” is for at least one player. Of course Lewis Carroll, Charles Dodgson, is best known for his fictional books of Alice’s Adventures in Wonderland (1865) and Through the Looking-Glass (1872). Yet he managed to carve out a rare place in literary history by combining his interests in mathematics and fiction. His ability to seamlessly include challenging logic and entertainment have, over time, ensured a consistent appeal to readers and collectors alike . Alice in Wonderland is traditionally thought of as a children’s book (although many adults secretly read it!). Yet it’s original appeal was not to the younger aged child. Maybe Lewis Carroll thought to amend this after seeing the 1874 Dutch simplified copy of Alice in Wonderland. He subsequently wrote to his publisher, Macmillan to suggest a coloured, large print and reduced version of the book. He commented that he wished it to be “read, to be cooed over, to be dogs’ eared, to be rumpled, to be kissed,” by children from nought to five. He re-wrote the story in a child friendly format as if it was being read aloud, almost as a fairy story. It begins with “Once upon a time, there was a little girl called Alice, and she had a very curious dream.” His clever use of questions endeared children to the book. For example, “Which would you have liked the best, do you think, to be a little tiny Alice, no larger than a kitten, or a great tall Alice, with your head always knocking against the ceiling?” He also appealed to children by including a reference to a puppy called Dash – a sure winner for attracting children. However, much of the success of the story must be also be given to the use of the popular and original illustrations by John Tenniel. 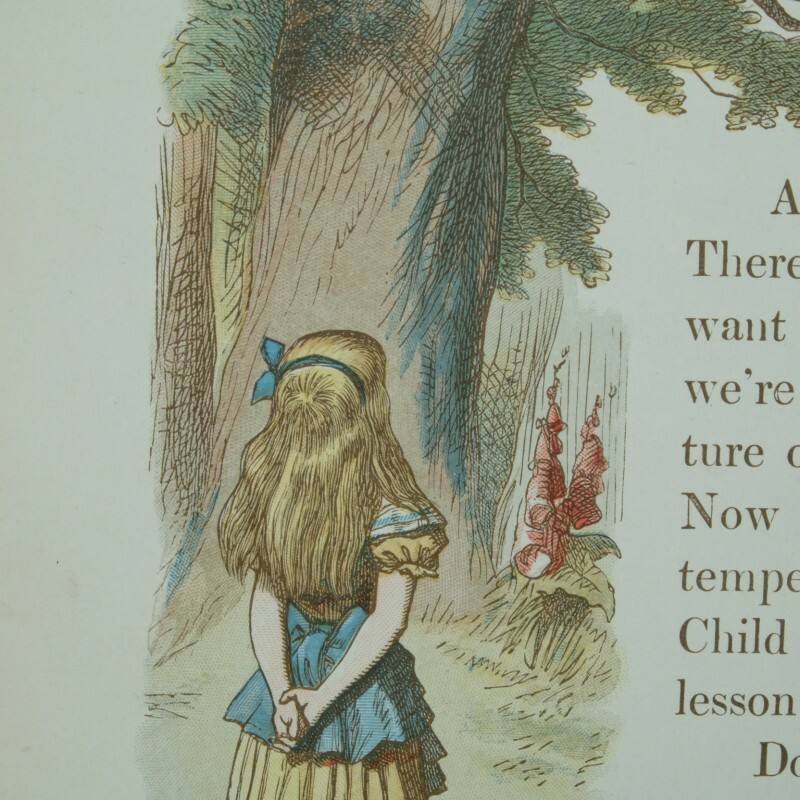 The copyright expired in 1907 yet Tenniel approved the use of twenty of his images for this children’s book. The first editions did not escape Carroll’s precise attention to detail. He rejected the entire original 10,000 sets of sheets printed by Edmund Evans claiming that the pictures were “far too bright and gaudy”. The sheets were therefore reprinted and the casings were used in subsequent editions. Twelve copies were specially bound up with un-priced titles as advertisements to the American market. Another 4,000 of these rejected sheets were sent to America with an added tipped in folded preliminary leaf dated 1890. The 6,000 remaining sheets were made up with un-priced titles as the 3rd People’s Edition. The final sets of sheets were published as a fourth issue in 1897 with an amended cheaper price label . In addition, a specially bound set of fourteen presentation editions were published in 1889. 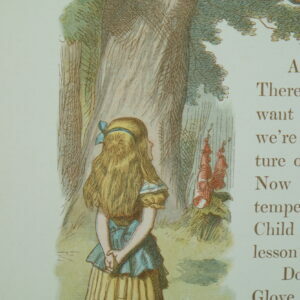 Interestingly the Tenniel illustrations were also amended in the second editions of the Nursery Alice. 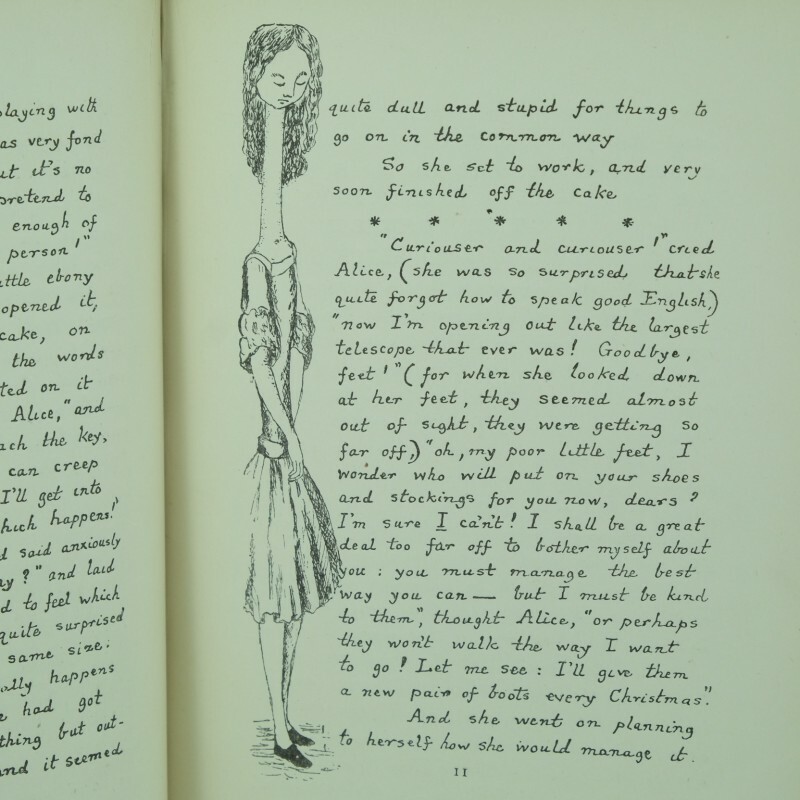 The profile of Alice’s face looking at the Cheshire Cat are quite different in this second 1890 publication. Of course, Alice in Wonderland has never been out of print and there are over one hundred English versions of this classic book. Yet the first editions of the Nursery versions are quite special – and you might even catch some adults reading them! 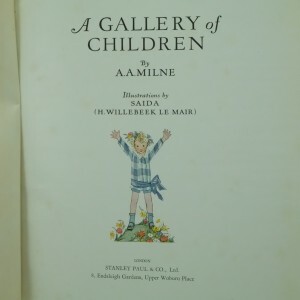 Someone recently challenged Barbara Chalk, the proprietor of Rare & Antique Books, to choose five of the best books for children from the Rare and Antique booksite. This is what she had to say. Where do I start as I love them all! However, in the spirit of the task I have endeavoured to narrow them down to the following five which are of particular interest to me at the moment. Of course I am cheating here as this is actually two books but they make such a charming pair I couldn’t separate them! The reason for their appeal is their size – they look like they have been given some of Alice’s size reducing potion! The original Tenniel’s illustrations are intact and in their original black and white format. In 1907 Macmillan marked the expiry of the copyright of Alice’s Adventures by issuing several new editions, publicising them with a Punch cartoon captioned ‘Tenniel’s Alice Reigns Supreme’. “The Sixpenny Series” was the first of these in December of that year. In 1903 they issued the “Little Folks Edition” with new colour pictures of Tenniel and an abbreviated text. The “Illustrated Pocket Classic” followed in 1904. 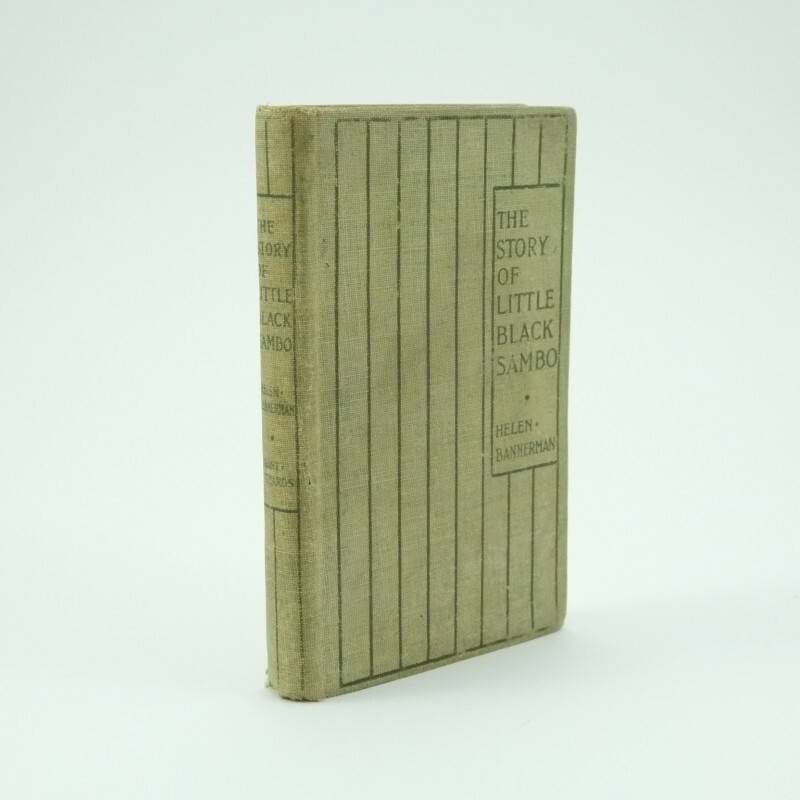 This miniature edition published in 1907 was a real success and remains a highly collectable edition. A charming pair of books. A selection of the best children’s books must surely include an A. A. Milne book. The well known Winnie the Pooh books are very endearing and an easy choice. However, Milne produced a wide range of novels, plays and short stories which merit celebration. One of these is this charming collection of children’s fantasy stories written between his poetry book of “When We Were Very Young” 1924 and “Winnie The Pooh” 1926. It was his first book of prose for children. This hardcover book was first published in 1925 by the Stanley Paul & Co. London and the David McKay Company in Philadelphia. The illustrator Saida, otherwise known as H. Willebbek Le Mair, was initially famous for her illustrations for toothpaste advertisements in magazines. Her delightful pictures complement Milne’s twelve stories making this edition a wonderful demonstration of the writing talents of A. A. Milne. Chosen for its perfect condition this little book is absolutely charming with delightful illustrations. Much of the appeal of the book lies in its size as the book measures only 5-5 3/4 inches in size making it appear like a toy book. Reading the book has an element of anticipation of what is to come as the writing and images are only one side of the pages. The book was initially published by Grant Richards as a series of small formatted books called The Dumpy Books for Children between 1897 and 1904. The classic and well known story is of a little boy and of course the terminology within the test is now obsolete and outdated. Yet in it’s time the book was a children’s favourite for more than half a century and so serves as a reminder of historical social change. Again I think I am cheating by including more than one book! Yet this set of seven fantasy stories have featured in thousands of children’s bookshelves – over 100 million copies published in 47 languages. It remains a classic children’s work of literature covering themes of religion, race and gender and has been a source of controversial literary debate. Pauline Baynes’s fine pen and ink original illustrations, especially the maps of Narnia, are still used in publications today. Th e Chronicles tells of several children who are magically transported to the world of Narnia to protect the lion, Asian, from Evil and restore him to his rightful place on the throne. The adventures cover the entire history of Narnia ending in The Last Battle. The first five books were originally published by Geoffrey Bles over a few years. The Lion, the Witch and the Wardrobe published first in 1950 and , although complete, the next books Prince Caspian, The Voyage of the Dawn Treader and The Horse and His Boy, were issued one at a time from 1951 to 1954. The Silver Chair was written after The Horse and His Boy but published after it in 1953. The Bodley Head published the last two books, The Magician’s Nephew and The Last Battle in 1955 and 1956. Again the Magician’s Nephew was written after, but published before The Last Battle. There has been much discussion over the years as to the order of reading the books as some publishers have produced them in chronological rather than first published order. Whichever way they are read they still remain an enchanting read! 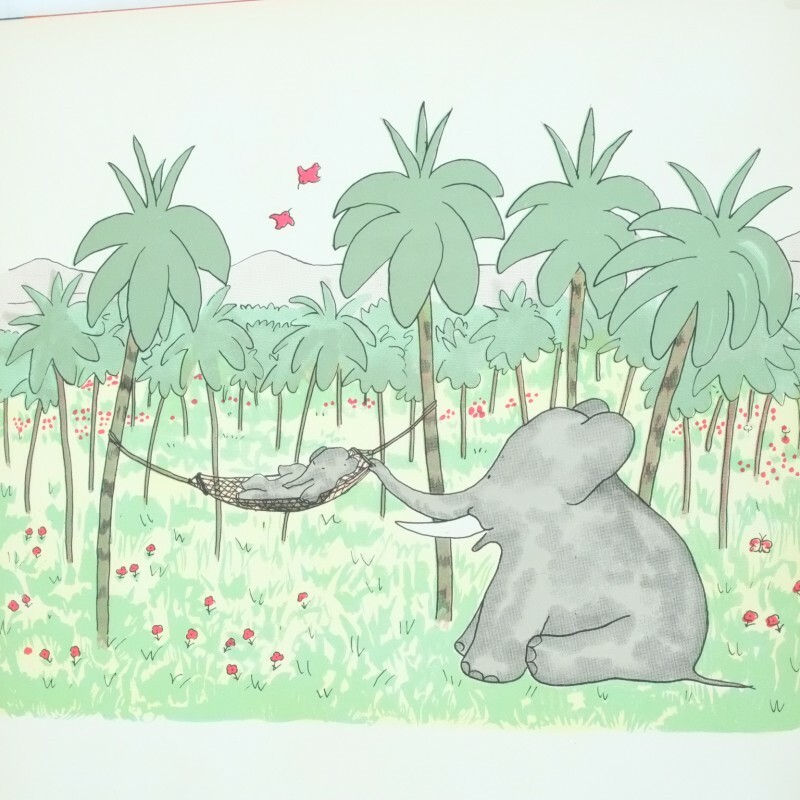 Babar the elephant is one of the most delightful children’s illustrated books. 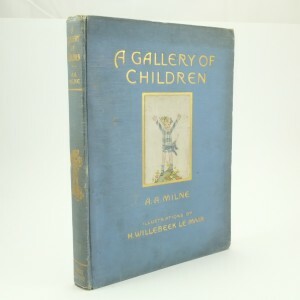 This edition has the added value of an introduction by the author of Winnie the Pooh, A. A. Milne. In fact it was A. 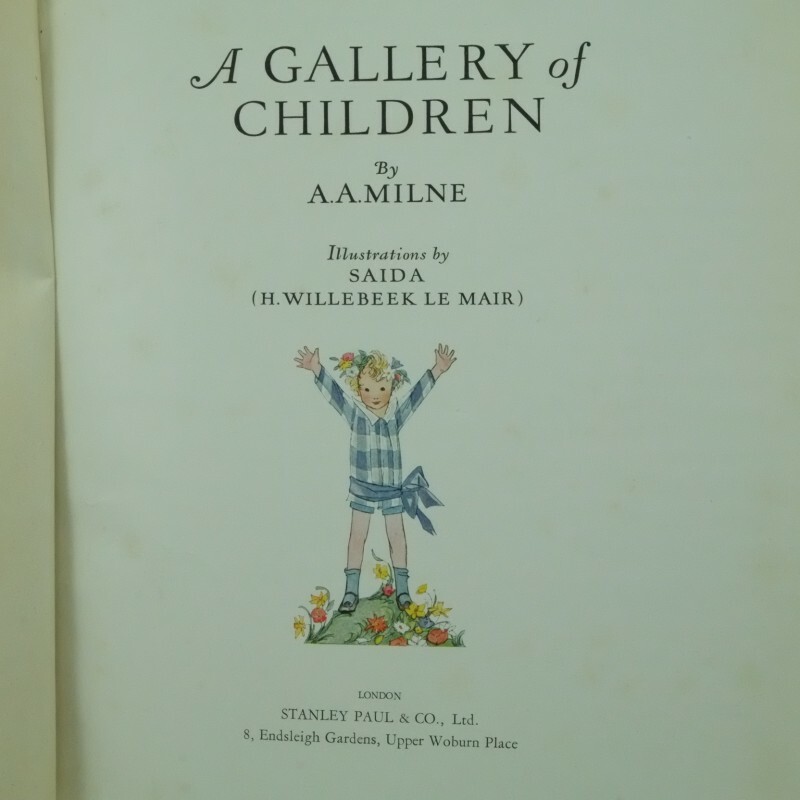 A. Milne who initially brought the little elephant to the attention of the British children’s book market. Milne first saw the French edition of the book at a friend’s house in 1932. He was so enthralled by the detailed illustrations and story that he persuaded his publishers, Methuen, to produce an English version. A. A. Milne wrote a charming introduction which helped to make the first edition an immediate success. 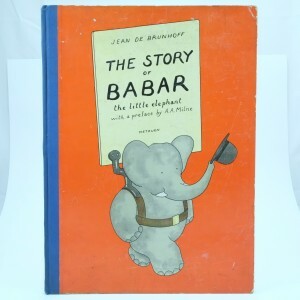 “If you love elephants you will love Babar. If you have never loved elephants you will love them now. If you are a grown-up and have never been fascinated by a picture book before, then this is the one that will fascinate you. If you are a child do not take these enchanting people to your heart; if you do not spend delightful hours making sure that no detail of their adventures has escaped you; then you deserve to wear gloves and be kept off wet grass for the rest of your life. I can say no more. I salute M. De. Brunhoff. I am at his feet. A. Milne”. Enough said I think! Five of the best books for children? Well, they are my choice form the Rare and Antique book store today. As I love them all if you ask me tomorrow the list may well be different. See other Children’s books for more choices. 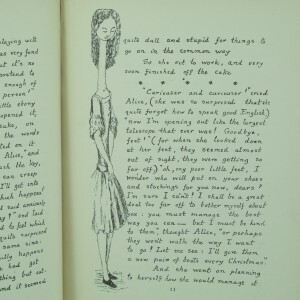 We were recently asked for advice from a Canadian customer about his early edition of Alice’s Adventures in Wonderland. Whilst responding, it got us thinking a blog would be useful on this complex subject – the various early and first editions of these most famous of children’s books. After all, given that Alice in Wonderland as a book has never been out of print and has been published in at least 174 languages, the number of publications of the book will be vast! We’ll only concentrate on those up to 1908 as, after 1907 the copyright expired in the UK which generated at least 8 new editions in that year alone spiraling it further into popularity and value. The variety of illustrators for this work is similarly huge and includes the masters of Arthur Rackham, Milo Winter and Getrude Kay (with of course the original and most iconic John Tenniel!). Alice in Wonderland books are obviously highly collectable and Rare and Antique Books hold several of these scarce and delightful editions. The genuine original illustrations were actually drawn by Charles Dodgson (Lewis Carroll) himself, in his original manuscript of the tale which was inspired by a boat trip in 1862 with three daughters of The Dean of Christ Church (one of whom was Alice Liddell) and The Rev. Robinson Duckworth of Trinity College. During the trip Dodgson narrated the tale to the girls and Alice persuade him to write out the story which he completed in 1863. 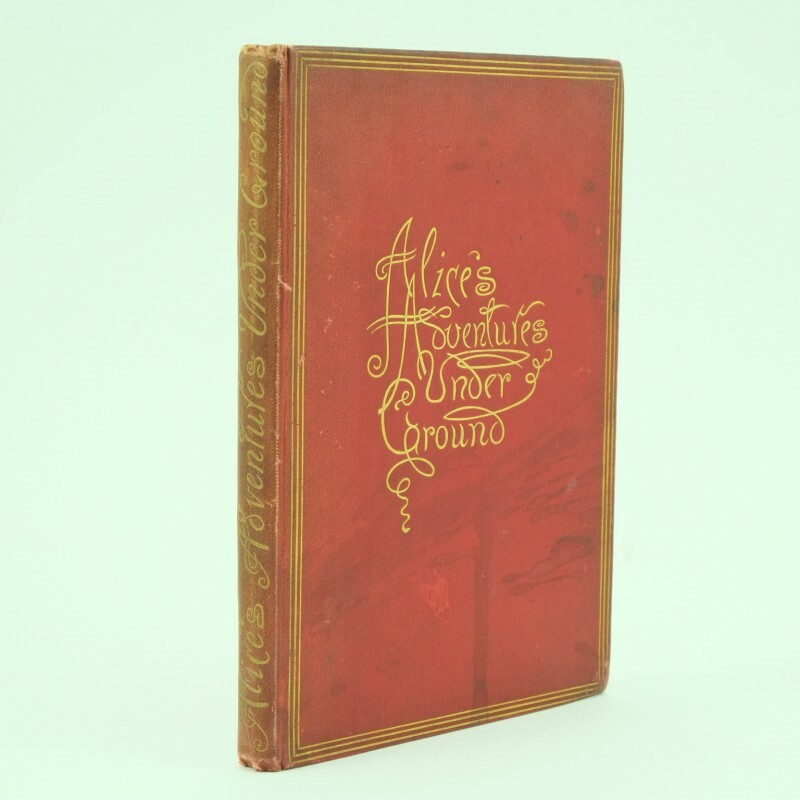 He then gave the illustrated manuscript, titled Alice’s Adventures Underground, to Alice who ultimately sold it for a world record price of £15,400 at Sotherby’s Auction in 1928! These original thirty seven drawings by Dodgson are contained in the rare 1886 edition of “Alice’s Adventures Underground”, so using the original title as written by Dodgson, as a facsimile of the actual original manuscript. His charming and childlike drawings perfectly capture the wonderment of Alice and the fantasy world that he was creating. There is something rather special about seeing the word and images completed in Dodgson’s own handwriting! This publication followed twenty years on from the first official edition – the 1866 publication published by Macmillan bound in red cloth, employed John Tenniel as the illustrator. It is clear to see how he developed Dodgson’s original images. Tenniel’s images were iconic and proved to be an instant success to children and adults alike. Whilst the book is dated 1866, it was distributed in time for Christmas 1865 but itself followed an earlier printing the same year that Dodgson recalled. A handful of these exceptionally rare 1865 copies did though survive and are, without doubt, the most valuable of all published editions. At this point in time Macmillan had no idea of the future success of the title, so released the book in small printings of a few thousand at a time. The very first edition displayed no printing numbers on the title page and copies of this edition are extremely rare and valuable, especially in fine condition. This was then followed by later printings stating say “SEVENTH THOUSAND” and so on in ever increasing numbers for many years – obviously the lower the number and the earlier the publication stated, the more valuable the book, condition aside. Next came the 1872 first edition sequel “Through the Looking Glass and What Alice Found There” which made a charming pairing with the Alice In Wonderland book. This too followed the same style of ‘thousand’ printings on the title page and the very first edition on this book is still both rare and valuable. The trade copies of Alice’s Adventures were released in 1887 when the publisher, Macmillan, took the opportunity to make several corrections to the original text. The books were published in lower grade materials to save costs and were labelled as ‘People’s Edition’ yet the bright green and illustrated covers do not detract from their charm. These too employed the same “Thousands printing” identification that continued to run well into the 20th century. 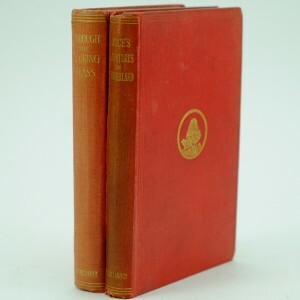 The miniature editions published again by Macmillan in 1907 (Alice) and 1908 (Looking Glass) are similarly appealing as they followed the same design style of covers to the original editions, just smaller. They make for a far more affordable, yet delightful option for collecting or as a gift. On screen it is difficult to appreciate the charm of these small compact books which only measure 16 x 10 cm – it seems like they have taken an Alice potion to reduce their size! For the first time a more traditional identification system was used for the editions, stating the year and month of any reprint ie. “Through the Looking Glass Miniature Edition, October 1908, Reprinted December 1908”. Once the copyright on illustration passed in 1907 there was a flurry of illustrators keen to work on Charles Dodgson’s books. At this time Arthur Rackham had recently shot to fame with his illustrated Rip Van Winkle and so his drawings were an ideal choice. Rackham’s illustrated book was published in 1907 by Heinemann with an introduction by Austin Dobson – maybe in an attempt to sway people to accept an illustrator other than Tenniel! The rags of Rip Van Winkle! 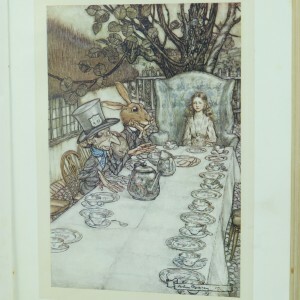 Although the initial reaction to any illustrator other than Tenniel was “just not right” the Rackham illustrations proved to be a success and are iconic Alice In Wonderland images today. 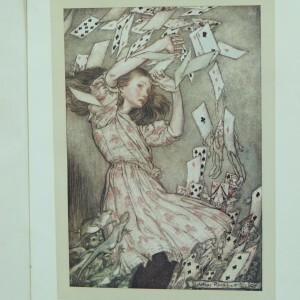 These antique and early editions of Alice in Wonderland mark the start of the profusion of illustrated books which we have witnessed since 1907 and so make them especially delightful and collectable books. 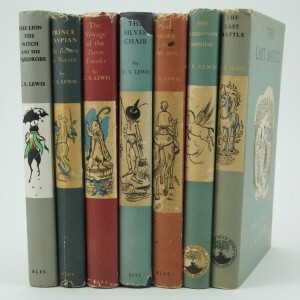 To see these books and more editions by Charles Dodgson go to Lewis Carroll books.